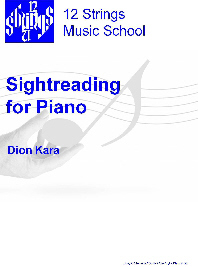 This piano book is a complete course in sightreading for the beginner and experienced pianist alike. It includes detailed guides to rhythm, note values, time signatures, compound time and triplets, as well as other advanced notation. If you have ever picked up a piece of music and been completely bewildered by the assortment of dots, dashes and signs, or you are struggling with unusual time signatures, then this is the book for you.